Who has the lowest prices on groceries? One of the things I like about living in Spring Texas is the convenience. In this case, it is the convenience of having numerous grocery stores nearby. Located within 15 minutes of my home are a Walmart Supercenter, Kroger, HEB, Randalls, and a Super Target. A great selection of stores to choose from to do my grocery shopping. But with so many choices which grocery store has the lowest prices on groceries? To answer this question, I decided to do a cost comparison of grocery items that on a regular basis wind up in my cart. Below are the five items I decided to compare prices from the three grocery stores I frequently shop at. On some of the items such as the Vinaigrette salad dressing there was not a significant difference in price. But look at the price difference in the Lipton Green Tea. 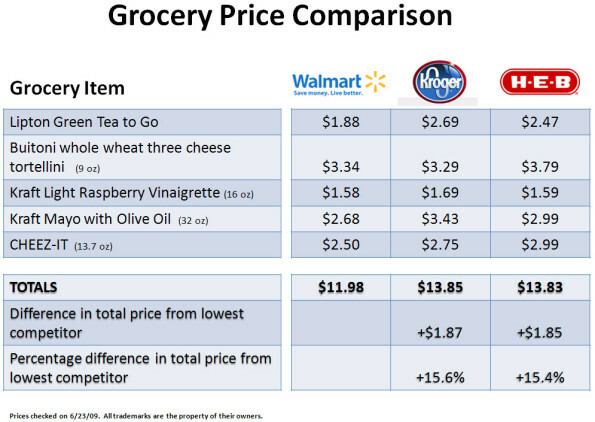 Kroger’s price was 43% higher and HEB’s price was 31% higher than Walmart’s price. 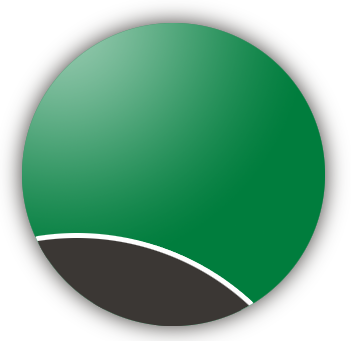 Who has the lowest prices on groceries in Spring Texas? For my shopping items, the answer is Walmart. These days grocery shopping requires a strategy and this is mine for everyday items I shop at Walmart because on a consistent basis their grocery prices are lower. I still grocery shop at HEB and Kroger but for different things and different reasons. If I have to get in and out of the grocery store quickly I go to HEB and not Walmart. Walmart has some of the longest lines especially on Saturdays and Sundays. For fresh produce I shop at HEB and Krogers. If neither store has the produce I want as an advertised weekly special, I shop at HEB because I have found their produce to be the freshest. I also shop at HEB and Krogers for their weekly special items because these items are usually cheaper than at Walmart. If you want to know the locations of the Spring Texas grocery stores, you can access the Google Map I made.